This week’s Afterlife TV bite-sized episode is a cool story that packs a lot of lessons. It begins with a version of the after-death communication known as a dream visitation. In this story, Faith is visited in two dreams by her friend Todd shortly after he passed. Her story offers great examples of how spirits get our attention. Faith’s story also exemplifies why those in spirit seek out some people and not others in dreams. And you won’t want to miss the validation Faith received after the dreams, which answered her question as to why Todd came to her when they didn’t really hang out in the same crowd. It’s a great story that you won’t want to miss. Finally, if you missed my announcement last week, you can now get THE MAGIC MALA on AUDIOBOOK. The link is in the show notes. Bob: Hey, everybody. 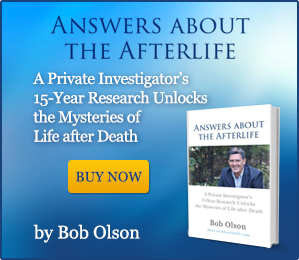 Bob Olson here with Afterlife TV. You can find us at afterlifetv.com. This is where we talk about life after death and answer the meaningful questions you have around that subject. 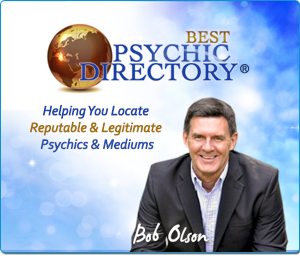 Today’s episode is sponsored by Best Psychic Directory. 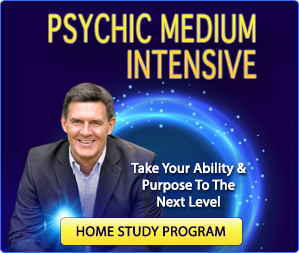 I just noticed today, I keep saying we have over 800 psychics, and mediums. 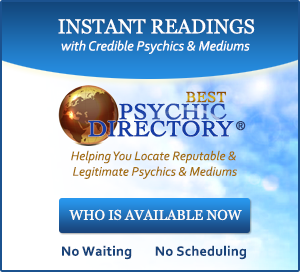 We have over 900 psychics and mediums. Melissa: Yeah, I wanna thank everybody for their kind comments because was, you know, this was a brave thing I had to face and do. So, it was nice to get the feedback, and Bob made sure he passed along to me. So, I just appreciate everybody’s comments and their kind words. And also your kind words about my photography too that all, also means a lot to me because that’s one of my passions. Bob: Yeah, so, thank you for everybody for…we have the absolute best, I say this all the time, we have the absolute best audience. Bob: Of any other show. Bob: Any other podcast. I’m telling you, we do, and we’re grateful for you. So, the other thing I want to say is The Magic Mala, the audio book is up. So, people who’ve been waiting for the audio book, there it is, you can go to Audible, you can go to iTunes, or you can go right to Amazon and get the audio book right there. And, we’re currently having the audio book two, Answers about the Afterlife, made because we had so much fun doing that. Melissa: One of the cool things about the Magic Mala audio book is that, an actor did all the voices. And he changed up the voices for each character which was really…like I didn’t know they did that. And so, it makes it really fun to listen to. Bob: Yeah, we gotta get to Alan Adleberg, he’s an amazing Voiceover artist and honestly he acted them out. Bob: He didn’t just read it. Melissa: No, he’s an actor. Melissa: He’s an actor, that’s what he does but he just uses his voice. Bob: And he does such a great job. Bob: I obviously wrote the book. And I listened to the audio book, and I got something almost like different out of it. Melissa: Yeah, exactly. And that’s what I was gonna say is, one of the things, even people who have read the book if you’re interested in reading the book again, then listening to the audio could be a fun way to take in, you know, because I think a lot of people, the feedback we get is that they wanna just absorb more. So, they wanna go back, and reread it. Well, this is a different way that you can absorb the information that’s in it and enjoy the story in a different way. It’s kinda in between the book and the movie. Melissa: You know it was kinda like that middle ground. Bob: It’s definitely helped me see how sort of imagine the movie. Bob: And it’s something that obviously you can listen too on the train, while you’re driving, you know, anywhere that you listen to audio books. Okay, so let’s get started. Here’s the story by Faith, get ready it’s a cool one. Faith: Hi, my name is Faith. This is a story of afterlife communication that I hope you’ll be able to use. Well growing up, it wasn’t unusual for my mom to take us on short distance weekend family trips. Usually the return trips on Sunday were non-stop. But this one time mom made a brief stop at a convenience store. When she came back to the car, she handed me a newspaper and told me there was something I should know before we got home. She told me my classmate Todd had been killed in a car accident. Todd’s funeral was held by the end of the following week, and I’m not sure how much the time past before I had two very similar dreams within days of each other. Although the scene of the dreams were different, the scenario and the message were the same. It’s the second dream I can recall now almost 40 years later. As in the first dream, I was out with classmates. Mostly Todd’s friends, whom I normally didn’t hang out with. As freshmen, Todd and I had different groups of friends. But in the dream, I was sitting in a car at a gas station with this group talking and laughing. The driver had gotten out to pump gas, and all the windows were rolled down. One of the friends saw Todd come around the corner of the station, and excitedly tells the group, “Hey, there’s Todd.” Everyone was excited to see him. Knowing that he’d been gone, and we hadn’t seen him for some time, we all start to invite him over with shouts of, “Hey, Todd, where have you been,” and “Hey, we’ve missed you.” Todd is smiling, kind of waving as he walks towards the car. I’m in the backseat next to the window. Todd walks straight up to me, inches from my face, looks straight into my eyes and tells me with a smile in his voice, “I just came back to tell you I’m okay.” And with that, he turns and walks away. In both dreams I was out with Todd’s group of friends. Todd appears, everyone is happy to see him knowing they haven’t seen him in a while, and each time he comes directly to me, looks into my eyes and repeats the same sentence, “Just came back to tell you I’m okay.” The dreams didn’t scare me. They didn’t strike me as fearful or creepy. After the second dream, I felt I was meant to share the dreams with his friends, our mutual classmates. And once I did, I no longer had any dreams, had any more dreams. At that time, I can’t say I believed in the life after, but I know I didn’t disbelieve either. I recall asking myself, “Why would Todd reach out to me?” Past grade school, he and I ran in different circles. It may have been almost a week after I shared my dreams, another mutual friend Diana told me that she was walking along the trail between her parents and Todd’s parent’s houses and she found carved into a tree, Todd’s initials, the plus sign and my initials. Since then I’ve read books on how events and life energies are all connected. And I believe all the chain of events may have been connected, even though I don’t completely know why. From mom stopping to learn about the accident before we got home, through everything the dreams, and then finally the initials in the tree. I think they’re all connected, but again, I don’t really know why or how. But it wasn’t until listening to your show that I realized the initials in the tree were the answer to my question of why Todd reached out to me. Again, I don’t feel creepy, or weird, or scared about it. I actually feel kind of honored and blessed. Thanks for your time. Bob: Welcome back everybody. You’re listening to Afterlife TV. You can find us at afterlifetv.com. And so, we’re gonna respond to Faith’s story. What a story, right Melissa? Melissa: Yeah, and the details you remember the details. Bob: Faith you seem to remember that. What I love about this story Faith, is that, it’s almost like a detective story. You got all these different pieces, you got to like put them together. And, you try to find meaning in them. The end result for me at least, is there’s great meaning. There’s incredible meaning here, but I also think its all very surface level. You know, the more I thought about it, like the meaning is right there in front of us. Bob: And I don’t think we need to look to deep into it. Melissa: Yeah, like there’s nothing hidden. There doesn’t seem to be some sort of hidden meaning behind it. Bob: Yeah, so let’s start what I mean by that specifically. I think that, the fact that your mother pulled over on your way back from a trip. Yup, a weekend trip. I’m looking at my notes. The fact that she pulled over and this was unusual, I don’t think that you need to look into that too deeply other than to recognize that your mother, I think, I’m just interpreting this from myself. But I think, she was following her own intuition, and she was gaining some kind of intuitive impulse to pull over and get a newspaper. Bob: And low and behold, I don’t know, I’m assuming maybe it was on the front page, because somehow she handed you that newspaper. So, I’m assuming the story of the car accident that Todd died in was obvious to see. And so, she found out about it, and I think this was maybe Todd’s way of getting you to find out about it. Bob: It could have been your spirit guides as well. And, you know, for whatever reason somebody up there and spirit wanted you to know that Todd had passed. You agree with that Melissa? Melissa: Yeah I do. And for me I think, I think it can be many variables and possibly…I would imagine your mom didn’t even know why she was doing it. That’s how intuition works, you know. Melissa: And she listened, and she listened to that instinct. Bob: Yeah, which is really cool, right? Bob: So your mother may not recognize it, but is in touch with her intuition in a way that maybe she’s not even aware of. Or maybe for all we know, she gives reading every weekend, I don’t know. So then the dream where you’re with Todd’s friends. Now, this is a little cryptic for me. I don’t know any other reason, other than the reason that you came up with faith. Bob: Which is, you’re with Todd’s friends and then he comes over to all of you. Bob: And everybody is saying, “Hi Todd,” and I think the interpretation you made that this is something you should share with them. Melissa: Yes, that you have the opportunity to if you chose to. Bob: Yeah, and maybe he’d like you too. Bob: But you know, just because some anybody wants us to do anything doesn’t mean we should. And just because those same people now might be in spirit, doesn’t mean we have to, doesn’t mean we should. We get to make these choices. Bob: They’re just people, but they’re people in spirit now. Melissa: You know I think people in spirit when they’re trying to get a message through, they know who the good receivers are. They are somehow able to detect who they can influence or who will pick up the message that they’re trying to impart out there. So, I think that, you know, he just recognized that you were a good receiver. It also obviously, there was something to your relationship even though it was just a friend relationship. Melissa: To you, right? That there was something more, but I just think, I think it’s a little bit two-fold I think. Almost, maybe even a sense of not just being the receiver of the message like you would actually get the message, but also that you might be comfortable, your personality might be comfortable passing that message along. Bob: …and they just wrote it off as a dream, just a regular old dream. Not what we would call a dream visitation. So, I believe this happens all the time, you know. Melissa: And I think we talked about this before on the show. I believe that if you take books and movies, movies are great example. You know, how movies come out, Melissa? And it’s like three movies and they’re all about the same subject? Bob: Like some really odd subject? Bob: And I’ve always believes that spirit, the universe is trying to get this story told, this message out there. Melissa: I call them receivers. Bob: …or that book written. And only so many are gonna actually build to bring it. Bob: And that’s one of the first things that a lot of people worry about, especially people who don’t know much about the subject. So, what a great message for you to pass along to those people. Now, whether they believed you or not it doesn’t matter, for some of them. Melissa: Yeah some of them will… I’m sure it made a difference. Bob: It’s gonna make a difference. How nice. Now, you can call this coincidence, or serendipity, whatever. You know, we don’t believe in coincidences here, we believe in serendipity. And the fact that Diana happened to see the initials in this tree, I’m glad you don’t find it creepy. Because some might, think about that. Now, he carved out his initials plus your initials on this tree. It doesn’t sound like something a freshman would do, right? Would you agree Melissa? Melissa: I don’t know, you know, what? Melissa: You know, my feeling sort of this, if it’s like sort of this secret, sort of love, which should seems like it might have been since you know Faith, you weren’t aware of it that I can see someone just wanting to, you know, sort of express that. But do, they’re doing it in sort have been in a very private way that’s just for them. And I can see a young person in particular doing that, because of the…just that fire that they have in their gut at those ages. Melissa: You know the passion. Bob: But the other possibility is, if it wasn’t more of a recent thing that he had done. You know, perhaps he was in love with you for a while. You know, maybe a couple of years, a few years. Melissa: You’d know better than us. Bob: And yeah, that’s right. You would probably have an idea with that. But, when I said, “I’m glad you didn’t find it creepy,” because some people might, but I think it’s nice. You know, love is a beautiful thing. Bob: And even in this case, you know, just because you didn’t get together. Same thing, there’s no sureness in this world. Bob: So, doesn’t mean it was meant to happen or anything, there’s plenty of people who are in love with other people and they don’t get together. But, that doesn’t mean there’s anything creepy, we’ll use that word about it. Bob: It’s a beautiful thing, he admired you, he saw your gifts, and he saw something special in you. And to the point where he sorts to had, maybe it was secret, maybe it wasn’t, maybe his friends knew, but it sounds like you didn’t know that he felt this way about you. Melissa: Yeah and I mean, I think it’s really…one of the things that stands out to me with this story is that, I think there’s a larger message in it for you personally in terms of your own ability. And I say this, not to say that you’re a medium or anything, but I’m just saying that, I just think it’s really kind of cool that you were able to sort of reflect back and see sort of the continuity of all of these pieces, right? And then drawing a bigger picture. I mean, like Bob was saying like, this kind of thing happens all the time. But people don’t put the pieces together. So, I think it’s really great that you just had the awareness to do that, and maybe it’s just sort of this reminder that you, you know, that you are connected. You know, that you are connected in a way that perhaps not everybody is. And that you really, if you start to really pay attention to that, that can be the gift that he gives you. Is that, he gave you the gift of this experience to awaken this part of yourself so that you can, you know, just develop it more, and use it for your own benefit in your life, to have a joyful life. 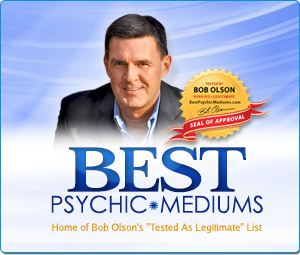 Bob: When I started my research with psychics and mediums, back in 1999, yeah. I always asked everybody their early story. And everybody had an early story, and a lot of times they would see signs of a gift. Bob: And then they’d push them away and then they’d come back later. With the exception of those people who had parents who recognized the gifts in them, and fostered those gifts so that they would help to expand them, for them. Bob: But with your story, you started to have these dreams, you’re having these dreams and that’s how a lot of psychics and mediums start. They start with dreams. Bob: Not all of them, but it was amazing to me how often that would happen. It would start with dreams, and then it would turn into what we traditionally know as being able to intuitively know things, or connect with people in spirit whatever. Bob: But a lot of times it just started with dreams, so I agree. Meredith: Yeah, and I do think that it’s important, we all have intuition. And we’re all using our intuition. But there’s a big difference between using your intuition, and knowing when you’re using your intuition. It’s a totally different thing because we all walk around and to be use our intuition and we don’t necessarily know that we are being, you know, pulled in a certain direction because of our intuition. So, having an experience like this, can awaken your awareness to your own intuition, which is only gonna help an individual in life. Melissa: You know, again, it doesn’t mean that you have to go out and train to be a psychic or a medium, because the truth is, our intuition is for us. Like that, it’s like our foot or our hand. Melissa: Is we use it, we’re supposed to use it for our benefit, you know? Bob: Well yeah, you know, I always think of surgeons, you know? Surgeons who have the ability to connect with their intuition. Melissa: It’s developed, like they know when it’s happening. 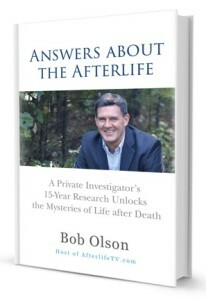 Bob: Investigator, being able to connect with your intuition, you are tapping into a source that can help you, could save your life even. Bob: So, a lot of cool things here. We’ll just sum up. You’re mother followed her intuition, really cool. Pulls over, she just whatever impulse it was, better to pull over, do something different, get that newspaper finds out and tells you about it. Diana perhaps, did the same thing. Bob: Who knows? Why she took that path that day, or why she looked at that tree, sort of the same thing. Bob: Might have recognized an impulsive, an intuitive impulse within her. And then, you are getting these dreams, following them to the point where you have the courage to then go and tell his friends about it. You’re now a messenger, medium or not you’re a messenger. And, that’s what mediums are eventually. Melissa: Yeah. And then you, and then the validation that you received because he no longer was coming to you in your dream once you passed along the message. So, you as the receiver, you know, sort of valued the information and did with it what he wanted. Bob: I love that, I’m glad you brought that up. I was thinking the same thing. Bob: That’s a message to you. Bob: At the end you feel honored and blessed of this what you said, and I love that. Melissa: Yeah, thank for you sharing, Faith. Bob: …joining us this week, and I hope you have a great week, all right.